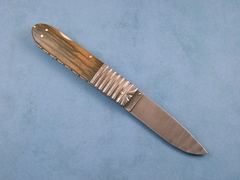 A nice folder from Barry Davis. 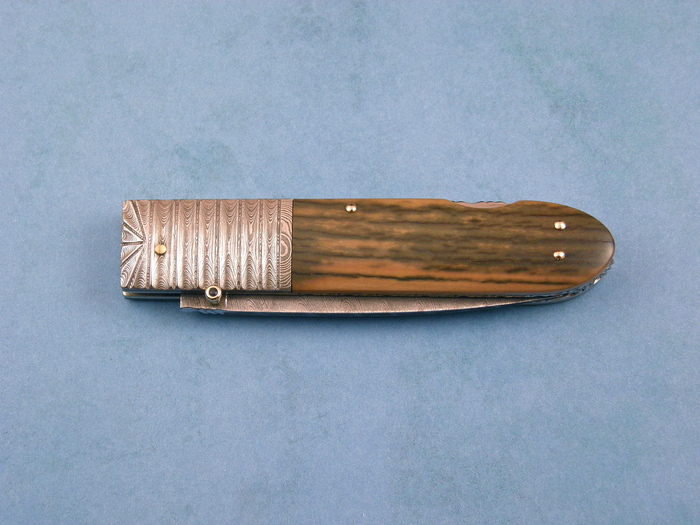 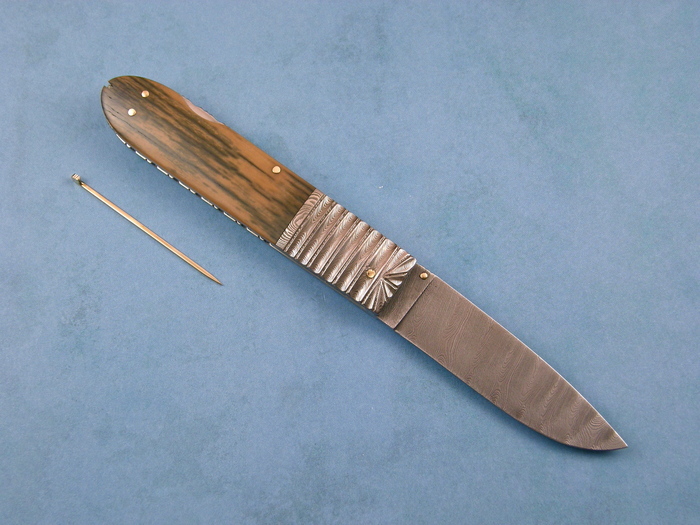 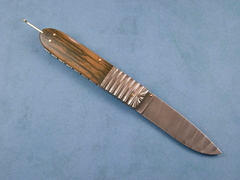 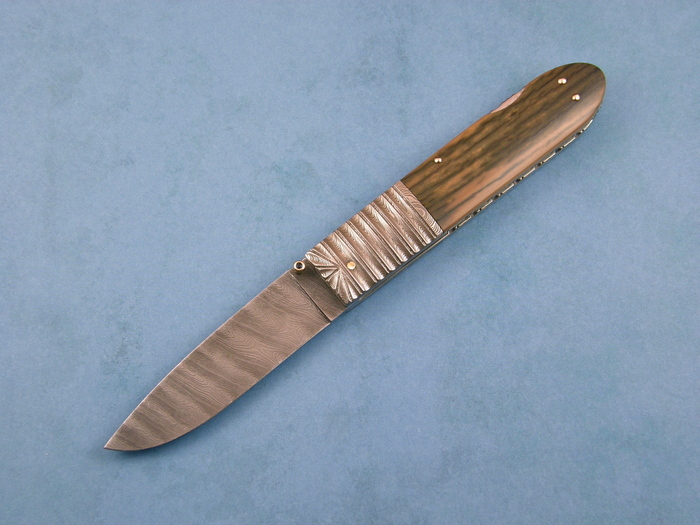 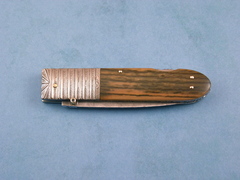 This knife has Fossilized mammoth handles and Damascus bolsters by maker. It also has a nice Gold toothpick.